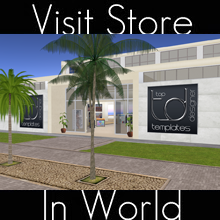 Look hot this summer with the latest full perm mesh release from TD Templates. 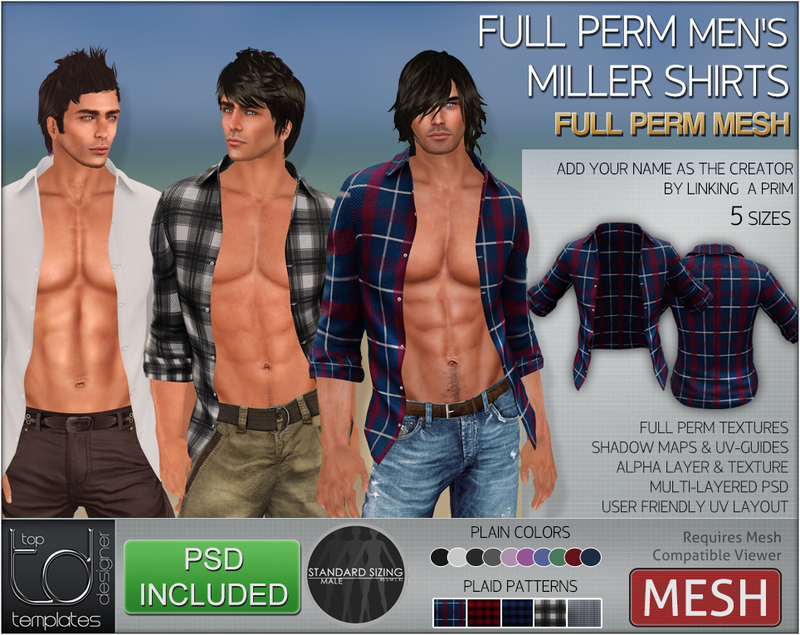 The miller shirt pack comes with 10 Plain Colors and 5 Plaid Variations. Shadow Maps & Uv Guides also included. 5 Standard Sizes.